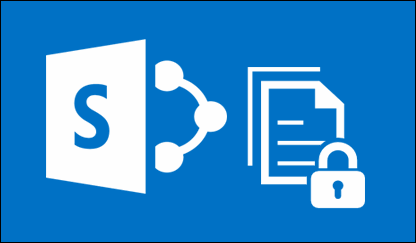 Several organizations are still looking for solutions to connect SharePoint On-Premise to Office 365 without any data breach. If an enterprise fails in applying proper compliance, security, and the governance control on confidential data then, project will end up with disaster even when content gets successfully migrated. It is important to be aware of SharePoint Online Security best practices that firms should exercise while migrating SharePoint 2010, 2013, etc., on-premise to Office 365. Well, significant investments have been made in Office 365 Cloud Security by the Microsoft team that is involved under the responsibility model. Totally, it is dependent upon the operations performed by clients to prevent and monitor all the risky activities occurring under the particular application. The organizations working on SharePoint Online platform end with thousands of website collections, which are accessible by the employees around the world. In comparison to the SharePoint on-premises versions, now it is simpler to render data access in the SharePoint Online environment to people who are outside the firm like suppliers, customers, or enterprise partners. It is just a recommendation to business users that do not share all the documents with the entire organization. Keep the confidential files private or if required then, share them only with trustworthy users. Majority of business users over the world uses OneDrive and SharePoint to store sensitive information related to payment, health, personal, and other confidential corporate data. To make the cloud journey useful in business growth, we have gathered the top five SharePoint Security measures. These are determined from failed as well as successful projects of SharePoint Online and also implemented by big enterprises. So, lets begin! Analysis the Sensitive Data and Control Accessing: There are around 17.4% of files involved in SharePoint that contains the confidential data. If we break them on the basis of data type then, 4.2% comprises of personal information, 1.8% comprises of payment data, 2.2% involves the health data, and 9.2% comprises of the confidential information. Based upon the designation in the organization, some employees should be restricted from this 17.4 % of information from security aspect. If the secretive information comprises of website collections then, it might be more widely accessible because its availability is continuous. While connecting SharePoint on-premise to Office 365, it is a suggestion to administrators that they should not upload all data to the cloud. Avoid the files from being getting uploaded that are directly related to the organization growth. Check what data is getting shared and with whom: One of the major benefits while using Office 365 is collaboration within the company. In fact, the organizations who are using Office 365 tenant collaborates with an around 72 business partners on Office 365, which is more than other collaboration platforms. It is not important that all these 72 partners should have right to access confidential data. SharePoint On-Premise To Office 365 migration needs to be carried in a secretive manner. This will be avoiding risk of data loss among the wrong hands. Expand Information Rights Management to SharePoint Online: There are several organizations that enforce IRM policies on the data during on-premises SharePoint preparation. Still, there are many users who feel hesitated while applying them to the cloud. This is the reason due to which they do not require any hosting of encryption cloud keys or installation of client application for opening file that is downloaded from SharePoint. Here, the better measure for SharePoint online security practices is to append IRM policies on confidential data only. It is so because they will be downloaded from SharePoint online, which are using encryption keys stored on the premises. This requires CASB security solution for fulfilling the gap between the SharePoint Online and the on-premises Right management server. Analyze employees activities for malicious notification: It is possible to make entire users events work on Office 365 tenant, which is possible through Management Activity API. This API is providing 162 different types of event, which users can perform. Manually, it is impossible to have continuous look on these events for a potential risk activity of higher level like employees taking large data amount. It is possible to analyze these raw events that make use of machine learning for identifying dangerous activities and resolve them on time. Determine the Cases when user accounts are compromised: A survey states that 76.3% of organizations face at least a single data breach incident every month. In this incident, the third person acquires access to the corporate account of cloud through guessing of correct password. Medium organizations experience around 5.1 incident each and every month. This is the reason why all the cloud service providers say that generate a complex and easy-to-remember password. Whatever is the situation does not ignore the basic security tips at the time of migrating SharePoint 2010, 2013 on-premise to office 365. There is no doubt in saying that SharePoint offers unlimited benefits to its customers. One of the core components for successful SharePoint On-Premise To Office 365 Migration is assuring that organizations continue meeting for security, governance, and compliance requirements. By encountering SharePoint Online security best practices, it will be possible to place these controls. These will help in ensuring that companies are taking full advantage of cloud services with no data security risk.